1. PIP – unintended consequences? Public Health England has this week announced new resources to address the high levels of inactivity amongst people with a disability. Around 3.5 million disabled adults are at greater risk of poor health due to inactivity, and evidence shows they are twice as likely as non-disabled people to be inactive. However, 4 in 5 disabled people report they would like to do more physical activity, highlighting continued barriers that prevent them from being active. I was delighted, when I picked up a copy of the magazine “Scotland’s able” at a recent exhibition, to see that there was an article about the fantastic engineering charity Remap. However, when I read the piece, it was about the organisation in England and Wales, not Remap Scotland. It’s good to see any publicity raising awareness of the wonderful free service provided to people with disabilities, looking for assistive products that aren’t available commercially, but I did wonder why a Scottish publication wasn’t featuring the Scottish charity? I write quite frequently about Disabled Facilities Grants, which can pay for essential adaptations that enable people to continue living independently in their own home. Often, they work brilliantly, with good quality installations that transform lives. But sometimes the alterations proposed or the standard of work are so poor they make a difficult situation even worse. 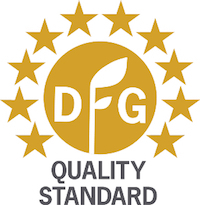 Foundations, the umbrella group for Home Improvement Agencies, has just launched a DFG quality standard to help raise all to the level of the best. Campaigning charity Disability Rights UK is asking disabled people to share their experiences of discrimination and the steps they’ve taken to challenge it. 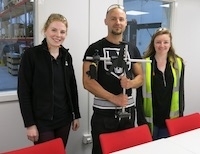 They want to share these stories online to help raise awareness of the Equality Act and help other disabled people feel confident and empowered to take action as well. You can tell your story in whichever way you choose – a video or photograph, an audio file, or written account. They are planning to publish them online in November. 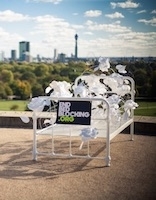 If you have passed by an iconic location in recent weeks, such as the Houses of Parliament, Southbank, Edinburgh’s Princes Street Gardens, or Oxford Castle, you may have been surprised to encounter a bed. Bed-based art installations have been popping up around the country, as part of a campaign to stop people being kept in hospital for longer than necessary. The official launch took place at the weekend, bringing together artists, community groups, NHS commissioners, frontline practitioners and startups. 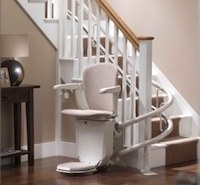 We have recently updated the Independent Living section on stairlifts, homelifts and stairclimbers. If you are finding it difficult to manage the stairs in your home, there are various solutions, depending on your needs, the specifics of the staircase, and your budget. You can take a look at the options available, and check out the various factors you need to consider.